Garsington’s artistic director conductor Douglas Boyd, and stage director Michael Boyd (no relation) collaborate on the festival’s opening production of Tchaikovsky’s most popular opera, Eugene Onegin. As well as the scheduled 10 performances at the award-winning glass and steel pavilion on the Wormsley estate, as part of its learning and participation programme Garsington will present a further performance by understudies for a schools’ audience new to opera, in addition to offering free open-air screenings in four coastal communities. Wherever you see it, this is a show of consistent quality, both musical and dramatic. Up to the interval, Boyd plays things relatively straight in Tom Piper’s handsome and adaptable period designs. But following Onegin’s killing of his friend Lensky in a pointless duel – itself cleverly wrong-footing the audience into initially thinking that Onegin has died – the central character is haunted by his dead friend, now dressed as a woman. It’s a provocative gesture, yet part of a realisation that undoubtedly makes you think as well as responding deeply to the emotional turmoil the central characters go through and whose musical representation is so expertly conveyed by Douglas Boyd, the increasingly impressive Garsington Opera Orchestra and its fine young chorus. 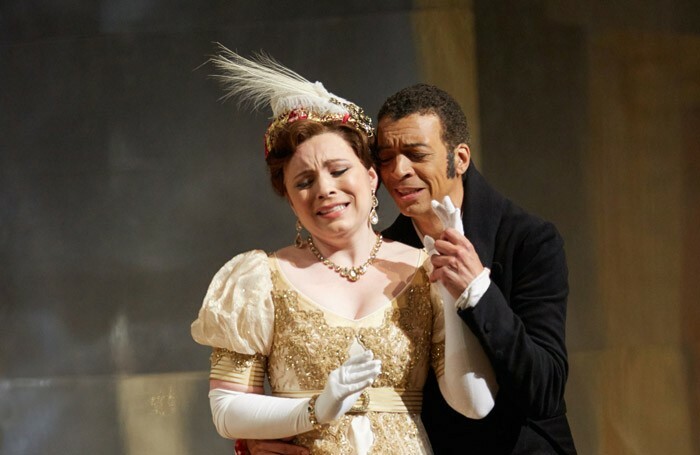 Always an exceptional artist, Roderick Williams rises to new heights as Onegin, bringing moment-by-moment conviction to his portrayal of the haughty loner who throws his chance of happiness away. Singing with confidence and grace, Welsh soprano Natalya Romaniw embodies finely both the uncertain young Tatyana of the opening scenes and the mature woman of the opera’s close. Brindley Sherratt brings dignity and heartfelt bass tone to her elderly husband, Prince Gremin. Ukrainian tenor Oleksiy Palchykov makes an ardent, vocally thrilling Lensky. 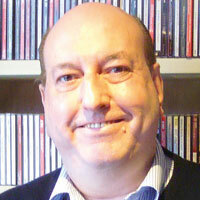 All of the secondary role go well, with Mark Wilde offering sensitivity and charm in his cameo appearance as Monsieur Triquet.